Hey! Thanks for stopping by my blog today! 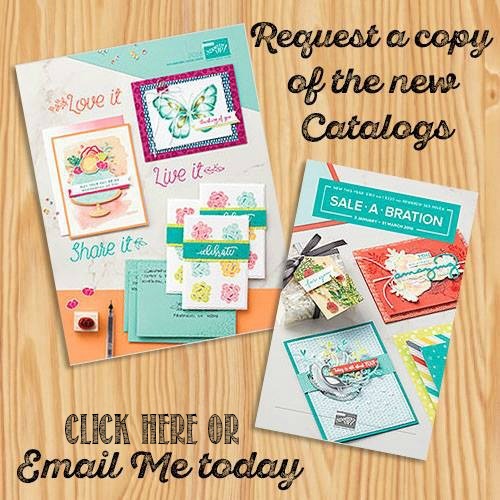 I have a fun birthday card for you using new Occasions catalog and Sale-A-Bration goodies. The big Happy Birthday stamp is awesome! That’s from Birthday Wishes for You, and I love it because you have to do very little else to complete your card. 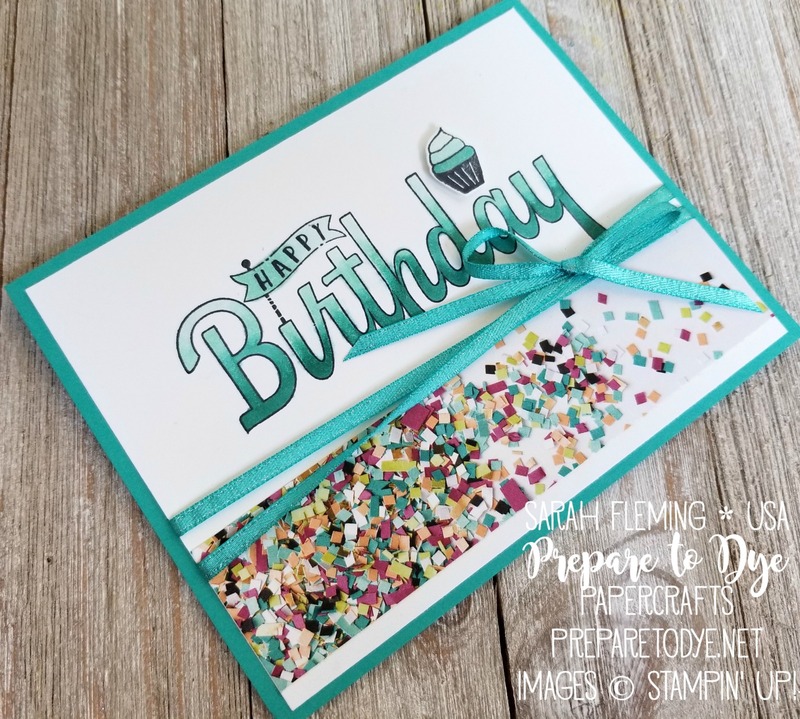 I colored my stamped image with the Bermuda Bay and Pool Party Blends (light and dark of both). 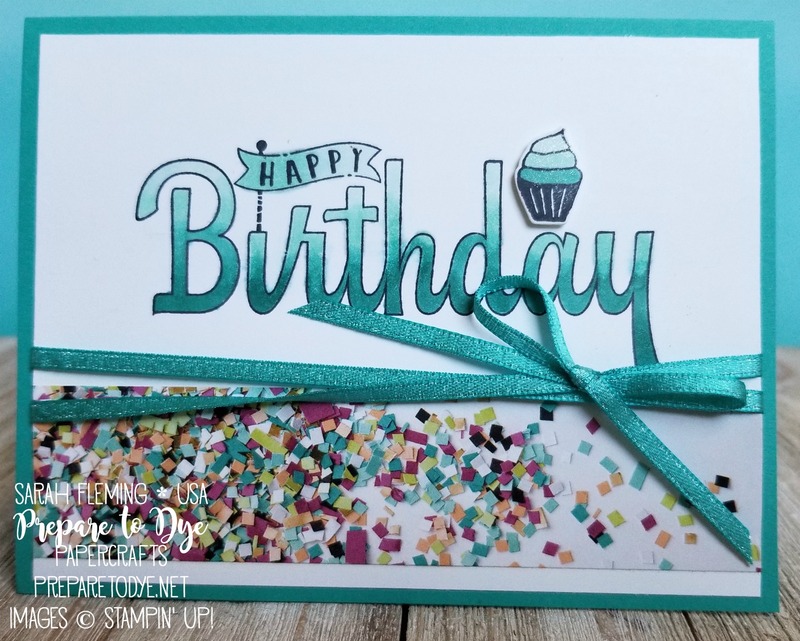 The tiny cupcake uses the Party Hat Birthday bundle, and I colored that with Bermuda Bay Light and both Pool Party Blends. That gorgeous confetti looks so life-like, but that is paper! It’s from the Picture Perfect Party paper stack. Heart eyes emoji, y’all. Love this paper. The ribbon is FREE Sale-A-Bration ribbon. It’s 1/8″ Bermuda Bay Shimmer Ribbon and comes in a combo pack with 3/8″ Calypso Coral Shimmer Ribbon and 1/4″ Basic Gray Shimmer Ribbon. You get five yards of each color. You can’t buy this ribbon, you can only earn it with a $50 (pre-tax and -shipping) order. 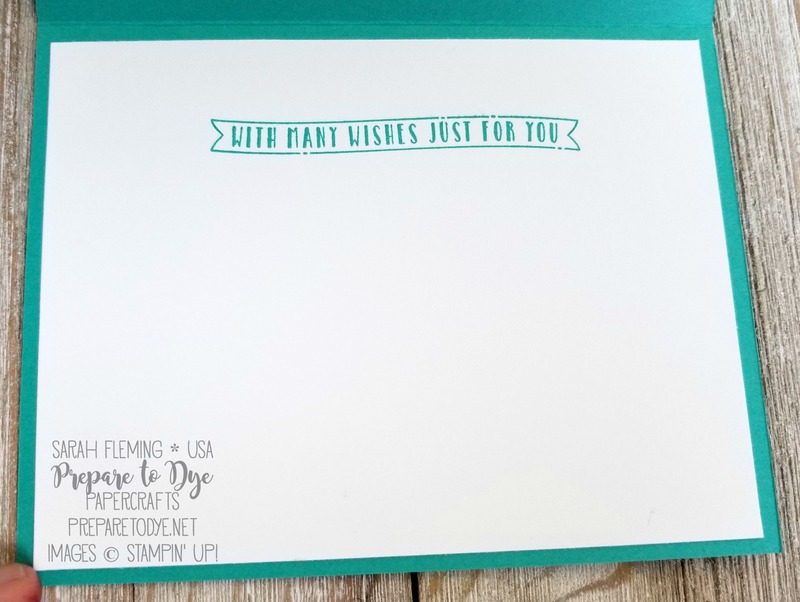 The inside is stamped in Bermuda Bay with the other stamp from the Birthday Wishes for You set. 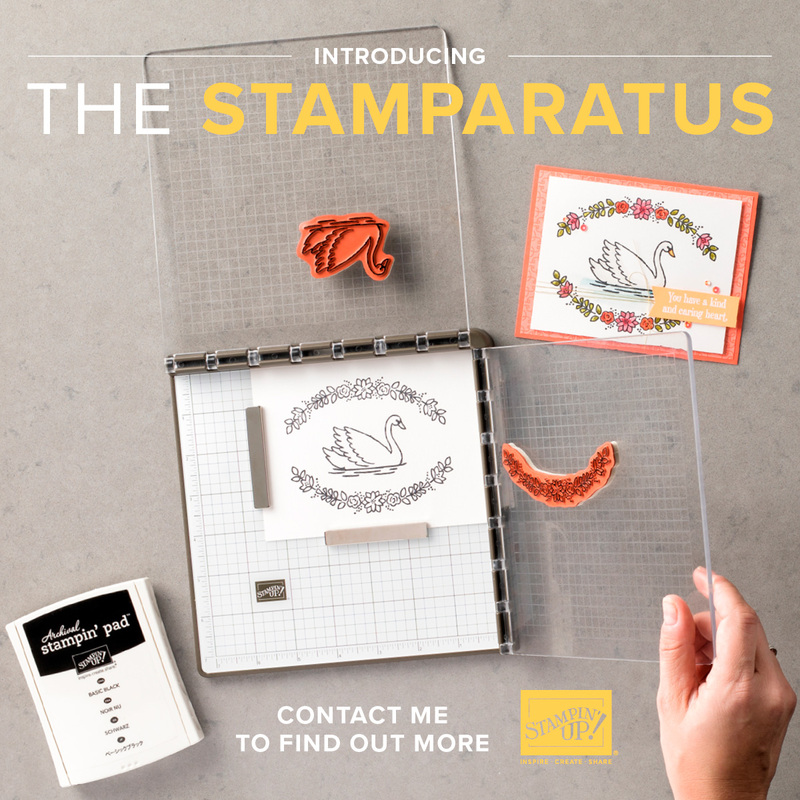 You only have today and tomorrow to reserve your Stamparatus, and after that you will have to wait until the new Annual Catalog goes live in June! 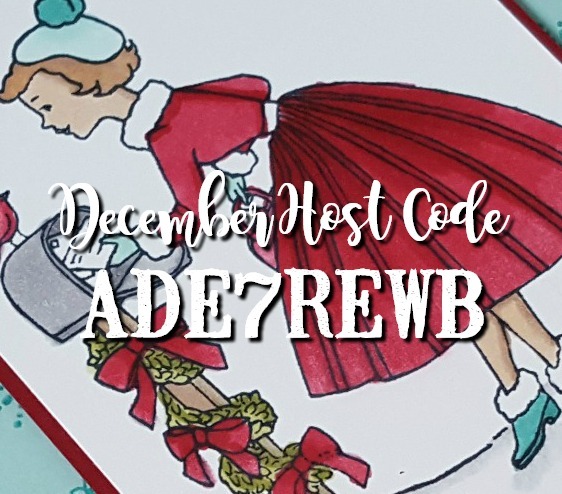 Reserve yours now through December 30! First come, first shipped!